I hope you’ve all had a great weekend! I created a Smart Board game for the little ones today. 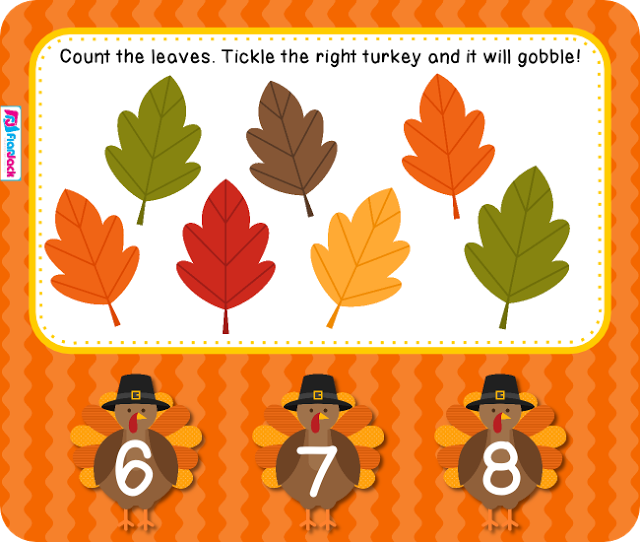 Students count leaves, touch the turkey with the right number, and the turkey will gobble. 🙂 It’s a funny effect that I’m sure will be very annoying after a while in the classroom! Just click either of the following freebie buttons to be taken to the download. I’ve got a lot of Smart Board games for the little ones that you can check out here. Thank you for the wonderful Smartboard Game! My kiddos will love it.